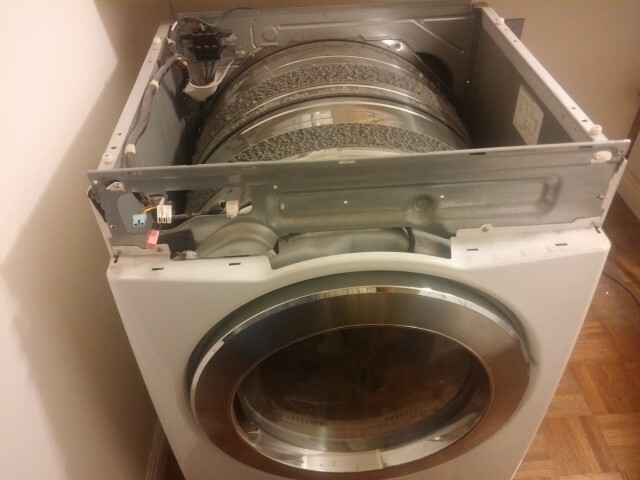 After an initial diagnosis visit, the repair process begins by careful disassembly of the clothes dryer. 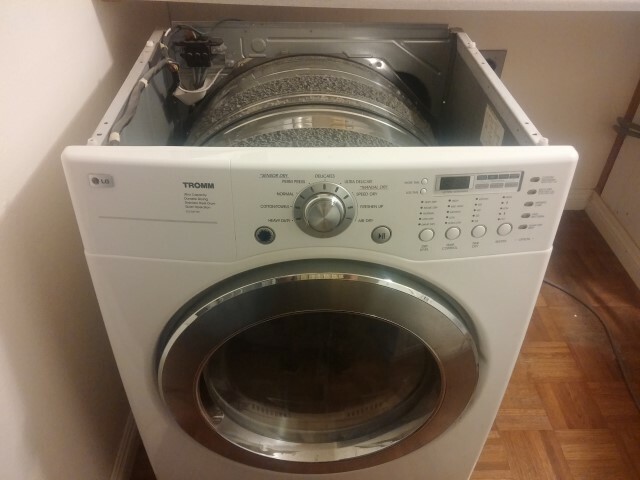 On this model, the top panel of the dryer comes off first. 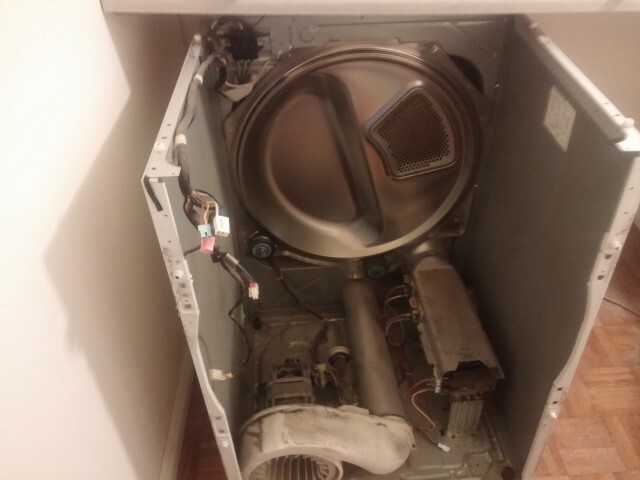 This exposes the dryer’s drum on the inside. To begin the repair we remove the top cover. After disconnecting the front control panel from its wiring it can also be removed and put to the side. Modern home appliances have many electronics and wires to help them function. These wires and electronics must be disconnected or placed out of the way so further disassembly of the dryer can continue. The front panel and top removed from LG Clothes Dryer. We need to get to the dryer’s motor which is located at the very bottom of the dryer. To do this we have to remove the clothe’s dryer Drum from the machine. Once the drum is out of the way we have access to remove the old motor and fit the new replacement motor in place. To get to the dryer’s motor requires us to almost completely disassemble the clothes dryer. The old motor was covered in dust. Dust acts as an insulator for heat and can dramatically shorten the lifespan of motors and electronics. When motors are put under a heavy workload the produce a lot of heat. The dust on the motor below acts a warm blanket for the motor. Once overheated the motor’s internal “Thermal Fuse” can activate thereby rendering the motor inoperable. 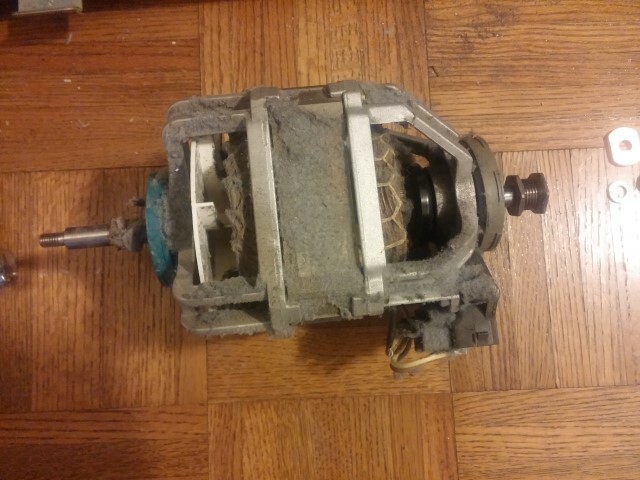 The old dryer motor, covered in dust, ready for recycling. Once the new motor is correctly installed, the dryer is completely reassembled and tested for proper operation. 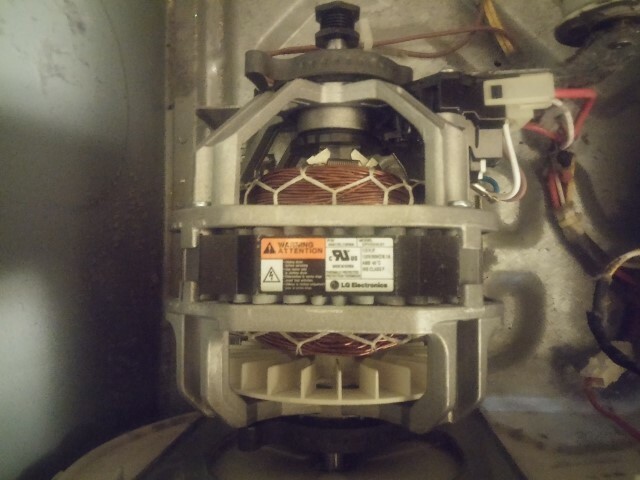 The brand-new motor installed into this LG Dryer. 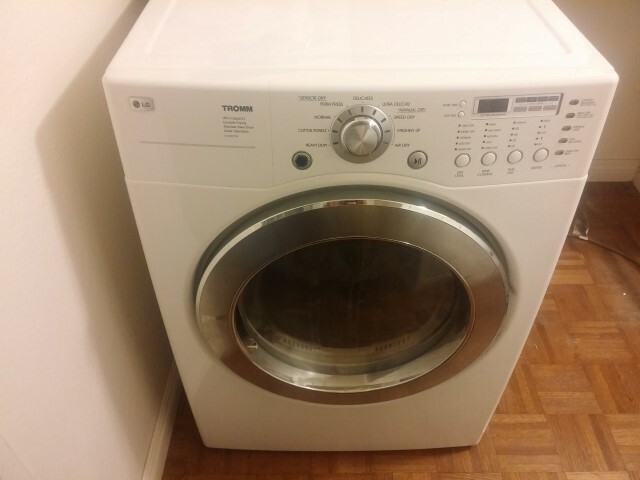 Thank you visiting and reading about another one of our San Diego Appliance Repairs. If you need appliance repair service in San Diego, please give us a call at 619-327-9501 to set an appointment. Our service charge is only $30 and is FREE when you have your appliance repaired by us. You’ll only pay for parts and labor when you choose to have your appliance repaired by San Diego Appliance Contractor Company.